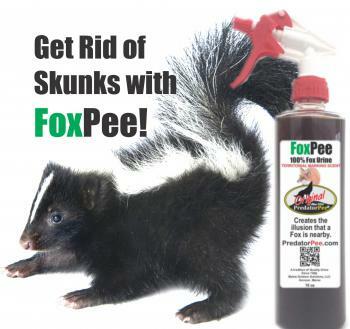 How to get rid of stinky skunks with PredatorPee® Fox Urine – There is nothing worse than a skunk moving in under your shed or porch. But there is a solution. Wild foxes prey on skunks and skunks know that the scent of a fox’s urine means that danger is likely nearby. Skunks don’t have to learn this fear of foxes – it is a genetic imprint. 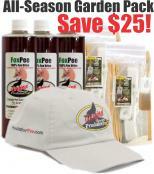 When a skunk smells a fox it wants to do only one thing – and that is leave now! 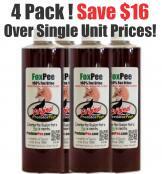 With PredatorPee® FoxPee you put this natural fear factor to work for you. This is what you do: since skunks are nocturnal prowlers, wait until about an hour after dark when the skunk has left its den under your porch or shed. Then seal up or block off any entry point that you think the skunk uses to go in and out and spray the whole blocking area with a good dose of Fox Urine skunk repellent. The combination of a blocked path and the scent of its most feared predator will send Mr. Skunk packin’! 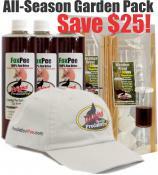 Try this natural skunk deterrent today! "I live in San Diego, Cal. and we have so many skunks this year. I've called all over town asking how to get rid of them. Everyone said to get a trap and take them to the country to release them. I'm in my 70's and am not about to trap a skunk! My son in Seattle, Wash. sent me some Fox urine. He said everyone up there uses it but down here they laughed at me. However, it has worked for 3 weeks, but now they're back. Help! How can I order more ?"